Monster Hunter: World arrives on the PlayStation 4 and Xbox One worldwide this Friday, January 26, but it seems it won't be entirely "feature complete" when it does. 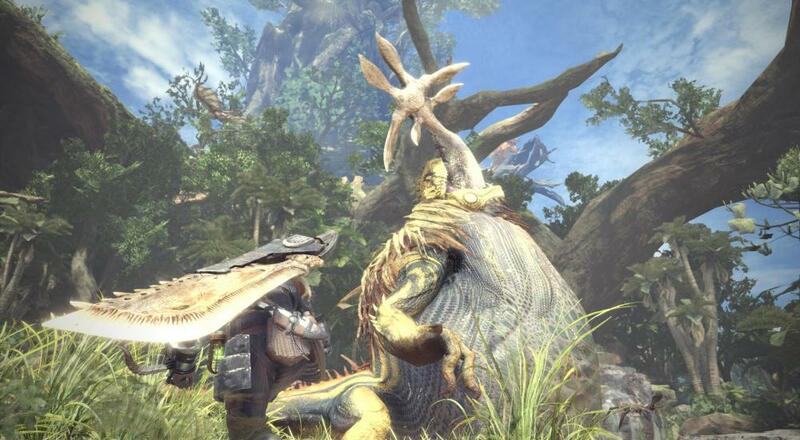 An 815 Mb Day One patch will be required in order to do the thing most people seem to really enjoy about the game: teaming up with buddies to take down fearsome beasts. Listen, I understand there are time crunches to get things done and out the door, and regrettably sometimes that means not being able to fix or include certain features. However, requiring a patch to enable a key component like online multiplayer is a pretty big thing as it means anyone who gets the disc version won't be able to play with friends until they download that patch. It's an annoyance for some, and an outright deal breaker for others. I guess as some consolation the patch also adds a pet pig called "Poogie." Monster Hunter: World will be available on PlayStation 4 and Xbox One this Friday, and a PC release is slated for sometime in the Fall. The game will support four player online co-op... you know, after you download/install the patch.